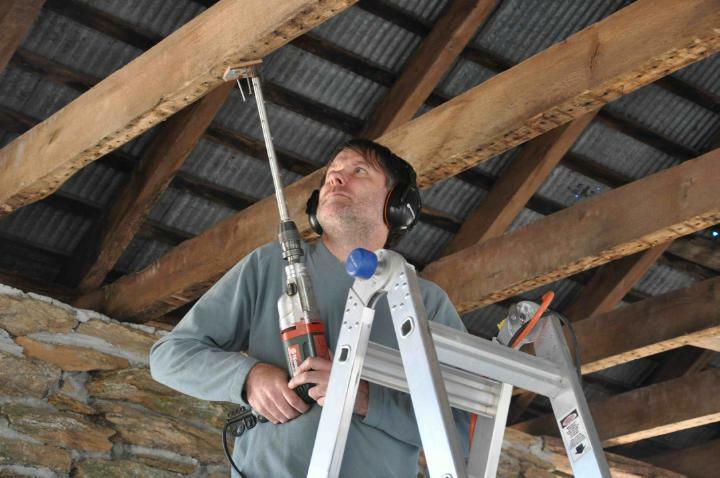 Michael "Mick" Worthington, Oxford Tree-Ring Laboratory, drilling a core in a ceiling joist. By measuring the width of the growth rings in the timber, he is able to date the building. is compared to a master chronology developed for the region (in this case for oak) (1/23/15). before they were to be used for building in order to dry and cure (4/13/15).